Pack smart. The first time I traveled with Willow, I was loaded down with the baby in the sling, an overstuffed diaper bag (with nothing practical in it), a purse, and my coat. Instead, I should have packed only what she absolutely needed — comfy outfits like onesies and leggings, diapers, wipes, an extra blanket, and a pacifier. If you’re breastfeeding, don’t forget to wear something you can easily nurse your baby in (and you might want to bring a cover, too). Formula mommies, pack enough formula and bottles with water (they’ll let you bring it on the plane) to get through the flight. The rest can go in your checked bag. If you forget something, you can buy it once you land! Try to plan flights around nap times. If your baby can sleep anywhere, I think this one is a must. We also find that walking Willow around the airport before we board our flight helps to tire her out — and sometimes she takes an extra-long nap. Entertain her any way you can. At home, we leave the TV off when Willow is awake. 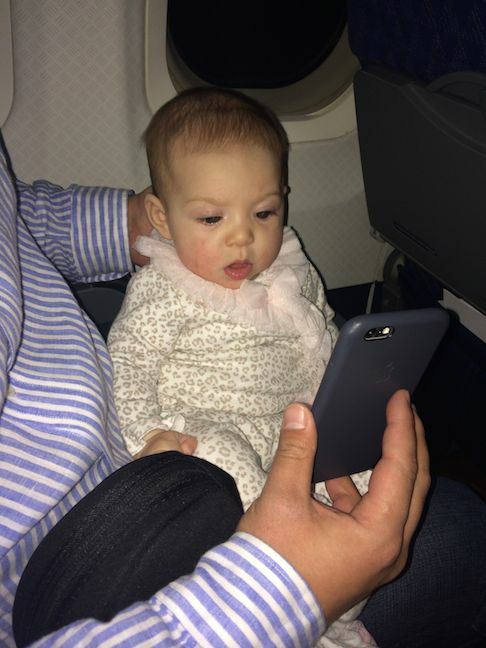 But, when we’re flying, we let her watch a baby-friendly app on my husband’s Smartphone. That distraction comes in handy when she starts to fuss! 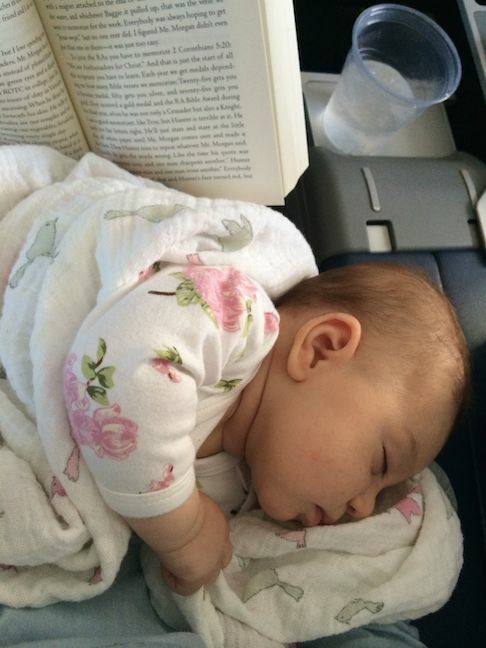 Don’t apologize if your baby cries on the plane. Every time Willow so much as squeaked on our first flight together, I could feel my cheeks burn. 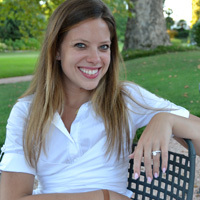 To chill out, I tried to remember the words of a friend of mine who frequently takes long-haul flights with her baby: “Fake it ’til you make it.” After Willow and I landed in Hartford, and our first flight was under our belts, I realized how sage my friend’s advice was. The thing is, none of us has control over who else is going to be on a given flight. That includes allergy sufferers, slow movers, bickering couples, and yes, babies. You don’t have to apologize for your baby. She has a right to be there. Stay calm (and ignore haters). When Willow starts fussing in the airport or on the plane, I have learned to focus entirely on appeasing her, whether that means nursing her or giving her a bottle, showing her a toy, (safely) strolling the aisles, checking her diaper, or even (this part I am a little sorry about because my voice is terrible) singing to her. The only thing I need to think about in those moments is her. Letting other people’s eye rolls and cleared throats and even comments (yes, those happen) bug me is not going to help Willow or even them. Babies can sense our anxiety. If I’m calm, she’s more likely to calm down. Bring a travel buddy. This one isn’t always possible, but if you can travel with a spouse, parent, or friend, the extra set of hands is helpful. I loved the quiet bonding time that came with my solo flight with Willow, but the convenience of having my husband along for our Dallas trip was incredible. He carried ALL of our bags and my only responsibility was holding her. It was amazing! Ditch the stroller. Especially if you don’t have an adult companion on the trip, the bulky stroller is not your friend. 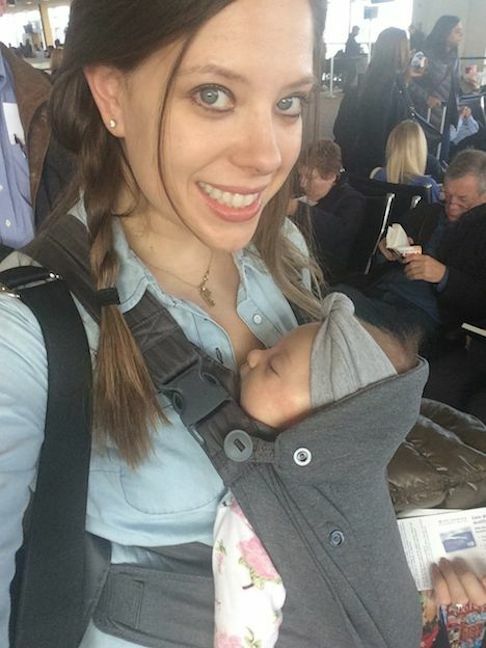 I use a baby carrier or sling for air travel — bonus points if it’s one that’s easy to nurse in. Bigger babies do well in umbrella strollers, too, and we have one ready for traveling when Willow is older. An infant carrier lets you keep your hands free, which makes it easier to manage your boarding pass, carry-on, and that all-important snack. There might have been a few meltdowns, but the moments of stress were totally worth the opportunity to get away, and to expose my babe to new and exciting experiences. On our upcoming trip, I’ll be packing my Kindle and maybe even a magazine. (I actually got about 30 pages read in a book on one flight with Willow!) Sometimes, after all, peace awaits you in the air. And if it doesn’t, just remember: Fake it ’til you make it.